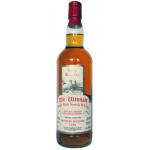 The Signatory Vintage 30th Anniversary Bunnahabhain 50 years old 1968 is a very old and special B.. The Ultimate Rare Reserves is a series of single cask release by the Dutch independent bottler va.. 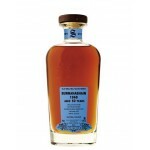 The Xtra Old Particular Invergordon 52 years old 1965 is a very old Highlands single grain from t.. The Xtra Old Particluar Probably Speyside’s Finest 50 years old 1967 is a very old Speyside singl..